Ralph Merrifield MP3 Recording Have You Ever Heard... ? Johan Komrij Karaoke Video with vocal Have You Ever Heard...? Johan Komrij MP3 Have You Ever Heard...? Johan Komrij Sheet Music Have You Ever Heard...? Bob Sorem MIDI performance Have You Ever Heard...? Johan Komrij Karaoke Video Have You Ever Heard...? Adrian V. Miller MIDI performance Have You Ever Heard...? Adrian V. Miller PDF sheet music Have You Ever Heard...? Urdu Translation from Pakistan MP4 Recording Have You Ever Heard...? Urdu Translation from Pakistan Video Have You Ever Heard...? "To The Quiet Town Of Bethlehem"
for her "sea-worthy' spin-off of our song "Have You Every Heard..."
" the guy that wrote the 'Duck Song' ". including a monkey like me! Let the Glory of God speak to all through this song"
"Have You Ever Heard...?" in Urdu !! Of all your songs, I confess that "Have You Ever Heard...?" is my favorite. Also used as background on a virtual greeting card! 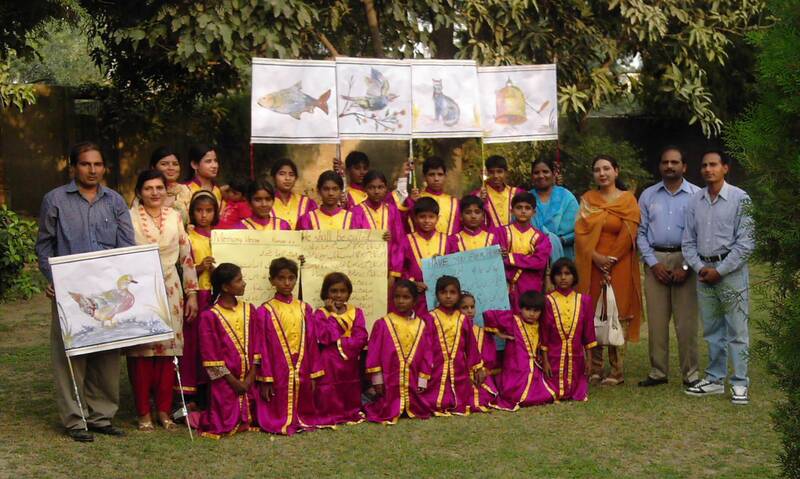 Another shot of the Children's Choir in Pakistan.